Egyéb információ. Grundfos water supply station. 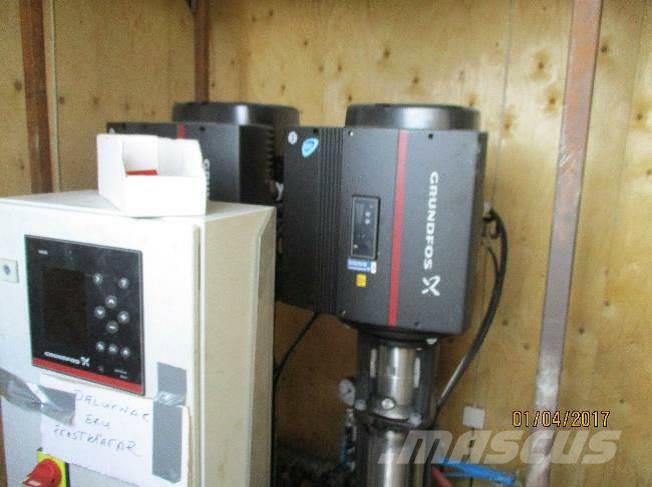 Frequency controlled pump station with 2 Grundfos CRIE 15-12 pumps. 3x400V. 2x 18.5 Kw. 2x 20.1 m3 / h. H = 198 Meter. Built in 8 foot container. Information and data from our clients.